If you’re interested in upgrading the look and feel of your kitchen without investing the time or money of a full kitchen renovation, cabinet refacing may be for you. Cabinet refacing can cost about half as much as replacing your cabinets and takes far less time than a full kitchen cabinet replacement. Our team at Custom Craft Cabinets & Millwork in Burnaby, BC, provides highly skilled cabinet refacing services, offering the opportunity to give a beautiful facelift to your kitchen without undergoing an entire kitchen renovation. You like the layout of your cabinets. If you already like the layout of your cabinets, there may not be a reason to completely replace your cabinet system. A full custom kitchen cabinet renovation is typically best for reconfiguring the layout of your kitchen and improving the storage systems at your disposal. If you’re only interested in a cabinet renovation for the improved appearance, a cabinet refacing will do the job at half the price. Your cabinet boxes are still in good shape. 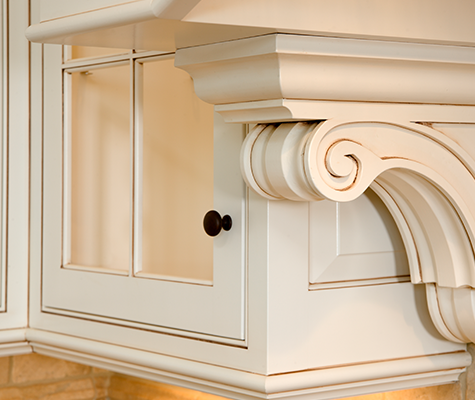 Refacing your cabinets will not be worth the investment if the cabinet boxes themselves are already deteriorating. But if your cabinet boxes are still in good shape and will likely last for years to come, cabinet refacing can improve the exterior appearance without the need to replace perfectly good cabinet boxes. You want a more affordable kitchen upgrade. Upgrading your entire kitchen with a full renovation and custom cabinets can get pricey. In addition to the full cabinet replacement, you’ll likely face costs from demolition, electrical wiring, plumbing changes, and more. When you opt for cabinet refacing, you can upgrade the look of your cabinets at about half the price of new cabinets while cutting the costs from those extra services entirely. You don’t want to lose the use of your kitchen for too long. With a full kitchen upgrade, you won’t be able to use your kitchen at all for a period of the renovation, and your kitchen will likely be in upheaval for weeks. With cabinet refacing, we can often get the job done in less than a week, and you can usually continue to use your kitchen during that time. If these reasons apply to you, our team at Custom Craft Cabinets & Millwork can sit down to discuss the cabinet refacing options available to you. We can replace all of the doors and exterior parts of your cabinets, or we can simply refinish existing doors to change the colour. A new door or a fresh colour can go a long way toward rejuvenating the appearance of your kitchen. Call us at (604) 435 2422 today for an estimate!